Everybody has their favorite travel accessories and suggestions – from comfy soft pillows to keep your neck upright while snoozing to fuzzy sweaters that turn into blankets and keep you warm on those chilly flights. If you travel a lot (like we do), then you learn more from experience about what works and what doesn’t for your own personal needs and uses. And yes, those two items are good to have, but here are some of our favorites that really do make traveling less of a hassle. A few products have been around awhile and others are brand new technology. It’s hard to justify buying new luggage when there’s nothing wrong with your old pieces – other than the fact that they are less travel friendly than the newer lightweight luggage. 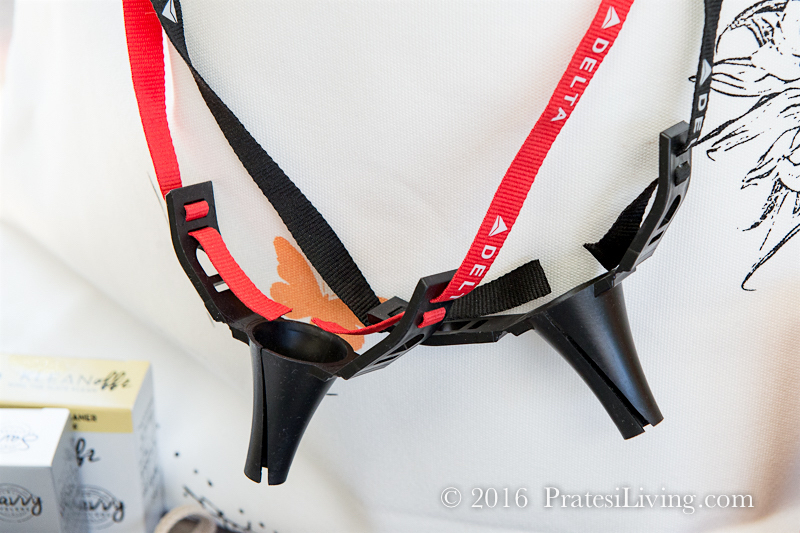 Most of the updated pieces are also smaller to accommodate the airline’s new restrictions on size, especially the carry-on pieces. The ones I recently purchased are 20 inches and 26 inches (versus my older 22-inch and 28-inch bags). Since there are very strict weight restrictions with the airlines, I figured the smaller and lighter weight bags were in order. If you pack things tight, it doesn’t take long to reach 50 pounds and you definitely want to save room for items you’ll want to bring home from your travels. 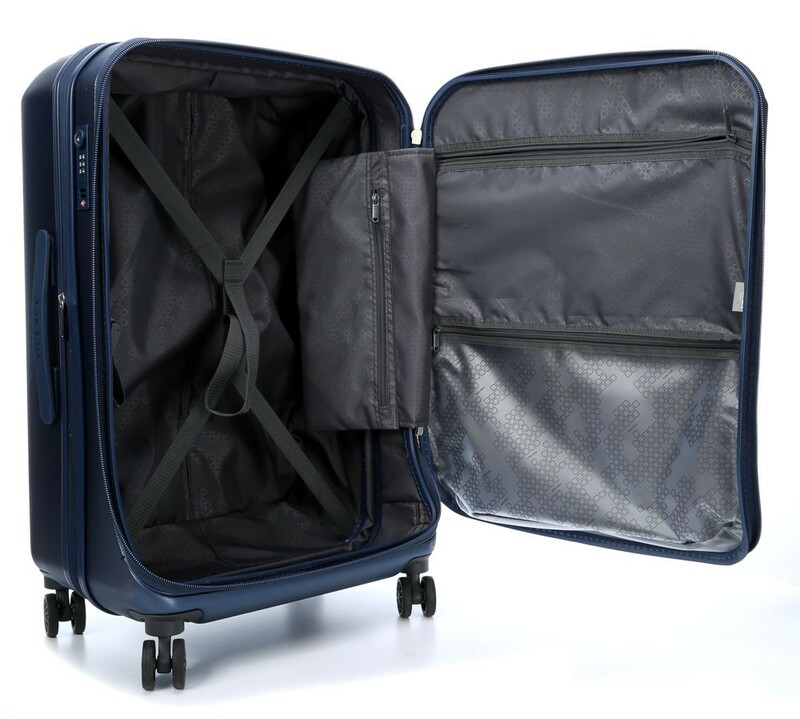 But, the best part about some of the new types of luggage is that they spin! All four wheels rotate and it’s literally a breeze to wheel your bags through the airport, hotel lobby, or train station. 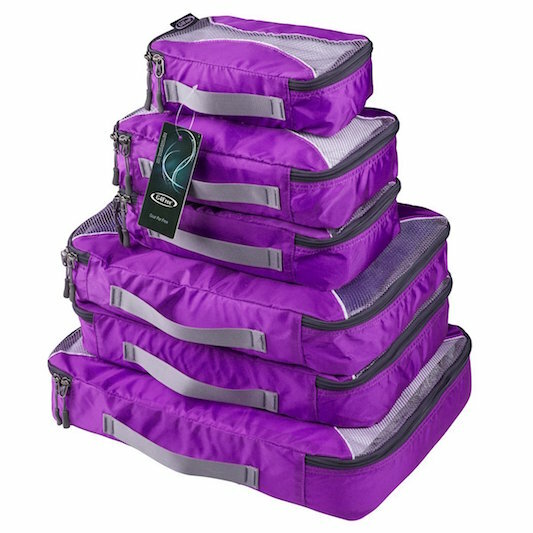 With this luggage, you no longer have those embarrassing moments where you’re trying to haul your luggage behind you and the weight and awkwardness of the piece makes it hard to pull and often falls out of your hand from the drag on the bag. Now you can zip down the hallway wheeling your luggage next to you without straining your back while trying to juggle your other items and you’ll look just like a seasoned travel pro. If you haven’t made the leap, then invest in a few pieces of spinner luggage. I recently purchased Delsey expandable soft-sided luggage and love it. (This photo is hard sided luggage, but you can see the spinner wheels.) Yes, it makes a big difference. Price: I bought my pieces at T.J. Maxx for under $100 each. Speaking of luggage and weight, we’ve found this tiny gadget to be indispensable and amazingly accurate. Rather than lifting luggage along with yourself onto a bathroom scale and then deducting your weight from that number, simply lift your luggage a few inches off the ground with this nifty gizmo and Voila! you know exactly how much your luggage weighs. Our digital scale is made by Dunheger (see top image). Better to be safe at home or in your hotel than get to the airport and have to figure out what to do with that extra five pounds of stuff in your bag. I’ve seen this happen many times at baggage check. Don’t let it happen to you. 🙂 Price: Approximately $17.99 on Amazon.com. With all the restrictions around carrying liquids, what’s a girl to do when it comes to bringing cosmetics, hair products, and other items (like sunscreen) on a plane? A one-quart bag filled with 3-ounce containers just isn’t enough for an extended vacation. That’s when you need a lightweight, compact hanging toiletry bag to pack in your checked luggage. Chances are you have great cosmetic bags for general travel, but they’re probably fussy and heavy and bulky and we’re trying to minimize weight and size when packing a suitcase, especially for flying and long-haul travel, so these bags come in handy. Now you can bring along a few larger items that might weigh more than 3 ounces, like a tube of sunscreen. When you unpack, hang the bag in the bathroom where you can easily access your personal items without laying them all over the counter (chief complaint from husband). I like the compact bag by GearNomad with its one large pouch and two smaller compartments, one that’s mesh and the other that’s plastic and see-through. Price: $8.99 on Amazon.com. Speaking of packing cosmetics and personal items, when you can’t or don’t want to have a piece of checked baggage and it’s all about traveling light and remaining footloose and fancy free with just a roller carry-on and a handbag, then you need these Savvy Travelers’ packets. I have fallen in love with individual packettes of all sorts of things since there is no limit to how many you can bring and they will fit into any piece of luggage (carry on or checked) or in a purse or jacket. 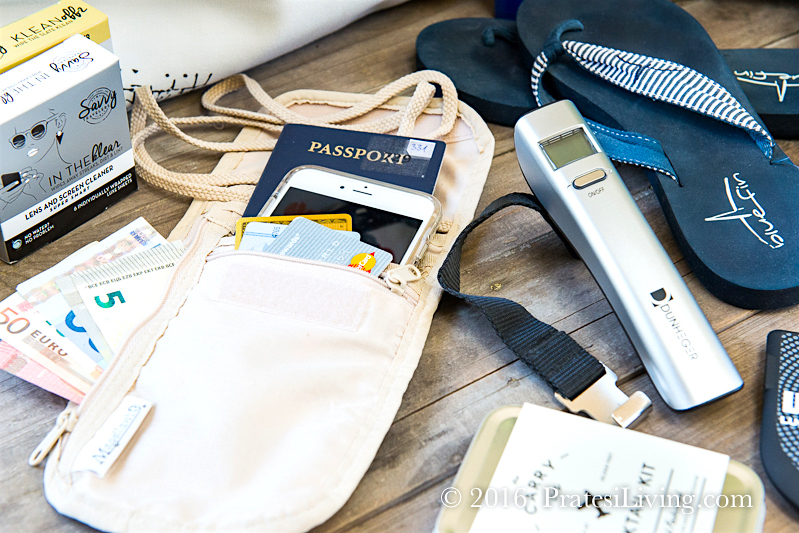 There are many more cool accessories and high tech gadgets that make traveling more pleasurable and packing a breeze. These are some of our current favorites. 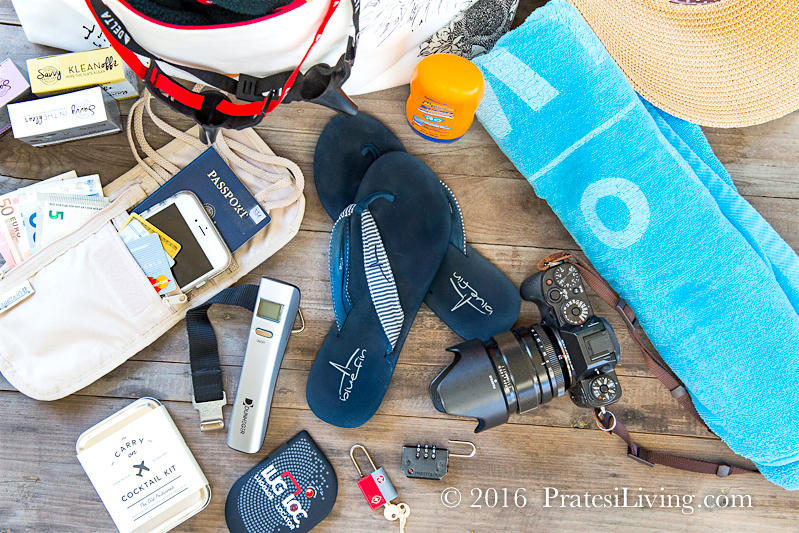 Which accessories do you swear by when you travel? 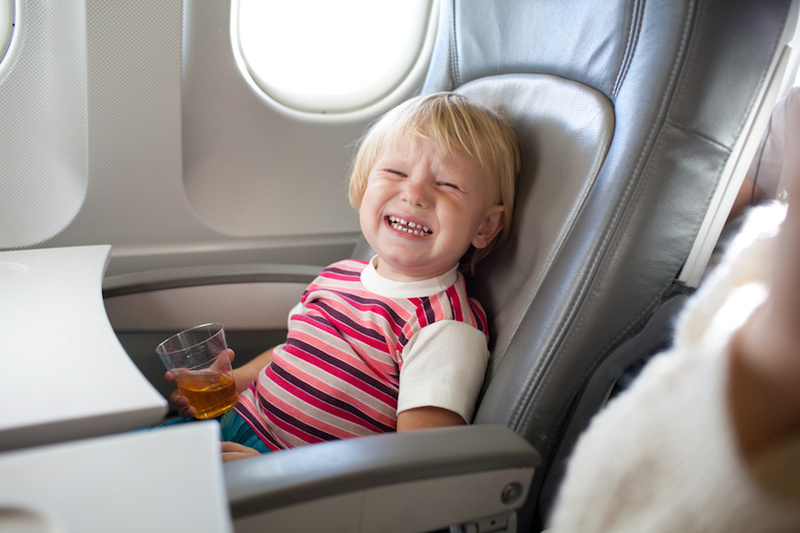 Photo credit for images without the Pratesi Living watermark (from top to bottom): Delsey.com; LugLoc; Savvy Travelers; Amazon.com; Stock Media – Pond5.com (image of child): This person is a model and their likeness is used for illustrative purposes only. 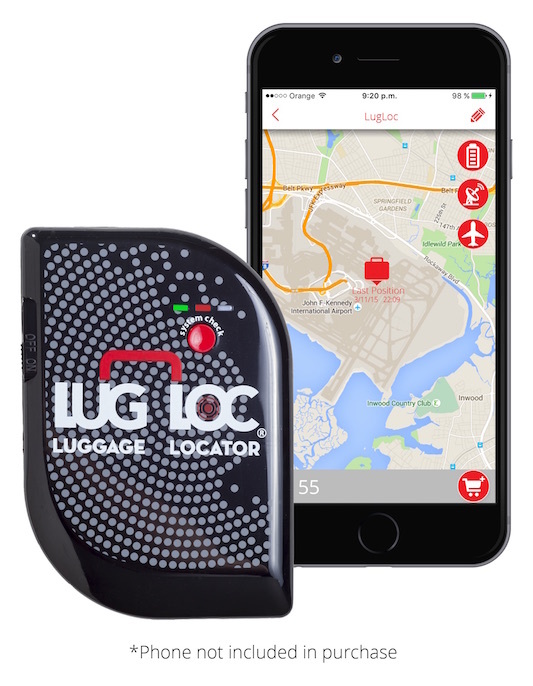 Disclosure – We received the LugLoc and Savvy Travelers products to test. The rest of the items are our own.